Project Manager Alex Turner has overseen the preparations for this year’s TheatreCraft. An event aimed at those aged 16 to 30 looking to learn more about theatre disciplines off stage, the initiative will see industry professionals give talks and workshops, as well as a careers fair at the Waldorf Hilton Hotel offering attendees the chance to meet some of the UK’s leading theatres, companies and education providers. Read on to find out more about this year’s event. 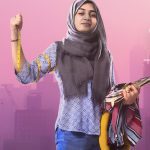 Having trained on the BA (Hons) Design for Stage course at the Royal Central School of Speech and Drama, Khadija Raza’s star has risen within the industry, having gone on to work on set and design projects from the Arcola to the Bush Theatre. Her work has seen her win the prestigious Linbury Prize for stage design as well as a Stage Debut Award for her costume design work featured in the Bush Theatre production of Hijabi Monologues. Khadija will lead a workshop at this year’s TheatreCraft on Set and Costume Design for the Stage. 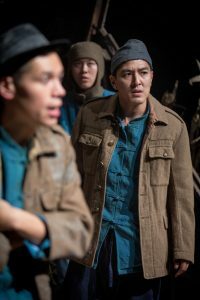 TheatreCraft, aimed at theatre enthusiasts aged between 16 to 30 looks to encourage those looking to pursue a career behind the scenes. Read on to find out more about Khadija’s workshop! Win a £25 Theatre Tokens Voucher! 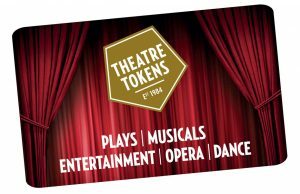 Theatre Tokens is the biggest national theatre voucher scheme and can be used at over 240 venues across the UK including London’s West End. Theatre Tokens also have no expiry date so you can easily pick when you use them with no pressure. 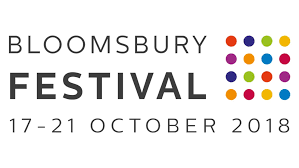 Bloomsbury Festival returned in October with a series of events celebrating the theme of activism and the architects of change, and featuring an array of performances showcasing talent associated with the area. 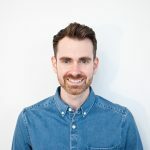 I saw five shows in the NEW WAVE line up, each in the Bloomsbury Theatre’s studio space and all the first time they have been shared publicly. For a decade, the Papatango New Writing Prize has awarded promising playwrights that have gone on to pursue successful careers within the industry. Iman Qureshi is the initiative’s 10th winner, and there’s no doubt that she’ll enjoy a future of success too. 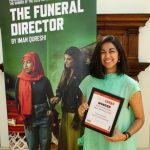 Iman’s ‘The Funeral Director’ witnesses Ayesha, the director of a Muslim funeral parlour confront her sexuality and challenge her faith when Tom visits to organise his boyfriend’s funeral. A timely piece of writing tackling hot points within current conversations, Iman talks about the show’s debut at the Southwark Playhouse! 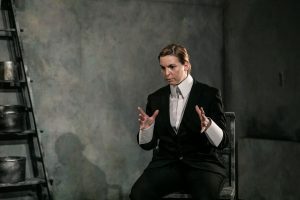 Currently showing at The New Diorama after a well-received Edinburgh run in August, Breach Theatre’s It’s True, It’s True, It’s True is based on the translated transcripts of the 1612 trial of Italian painter Agostino Tassi, in a case brought against him by Artemisia Gentileschi, a female painter who he had raped whilst serving as her tutor. 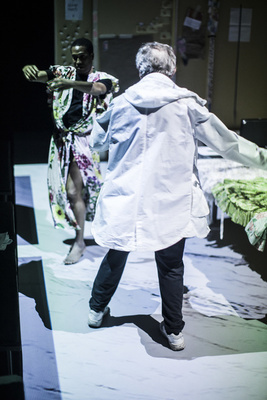 Theatre & Technology Awards 2018 Winners! 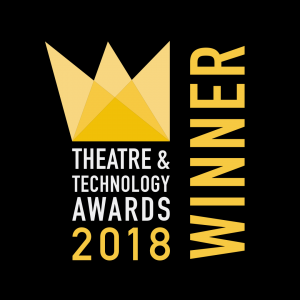 2018 witnessed the second Theatre & Technology Awards; an awards ceremony celebrating the achievements of theatre professionals in our digital age. Theatre Full Stop are now happy to announce the winners, highly commended and third place nominees of the evening. 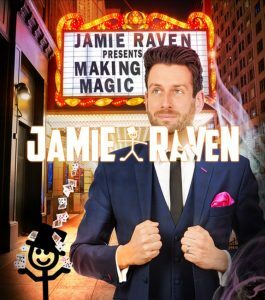 As we enter the slightly dated but characteristic Ferneham Hall in Fareham, the atmosphere is building ahead of Jamie Raven’s 2018 UK tour Making Magic.People of all ages habe flocked to the theatre to see, as Jamie later tells us, “the most talented human of 2015”. He of course came 2nd in Britain’s Got Talent losing only to Matisse the dog.